Exclusive $150 Off Mattresses at Koala Mattress Save on your mattress order with this Koala Mattress voucher code! 15% Off Bundles, Mattresses and More Bedroom Range Orders in the Easter Sale at Koala Mattress Don't miss out on the Easter Sale now on to save 15% on the bedroom range! 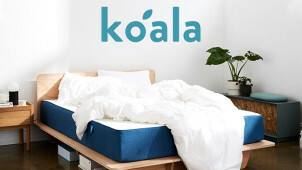 $100 Off First Mattress and Sofa Orders with Newsletter Sign-ups at Koala Mattress Save $100 on your first mattress order when you sign-up to the Koala Mattress newsletter. Free $150 Pillow on Next Orders with Newsletter Sign-ups at Koala Mattress Receive a free pillow worth $150 when you sign-up to the Koala Mattress newsletter. Free Express Delivery on Orders at Koala Mattress Enjoy the express shipping service at Koala Mattress which is free with every order! $50 Off Orders Over $500 with Friend Referrals at Koala Mattress Refer a friend and they can receive 10% off their first order, and once they have made a successful purchase, you will receive $50 store credit! Koala Sofa from $300 at Koala Mattress Look no further for your new sofa as at Koala Mattress, the perfect sofa is available to you from $300. 120 Night Free Trail on Any Product at Koala Mattress Not ready to commit? Well trying the 120 free trial on any Koala Mattress product can help you seal the deal! Gift Cards from $50 at Koala Mattress Give someone the gift of ultimate comfort with the gift card range available from $50. Koala Pillow for $150 at Koala Mattress Looking for ultimate comfort? Look no further than the Koala pillow! Koala Sheets from $70 at Koala Mattress Find your Koala sheets from only $70 at Koala Mattress. Treat yourself to a bed buying experience from the sleep experts at Koala and swerve questionable industry practices like overpricing and crowded showrooms. There’s no need to trawl unsuitable beds with Koala, as every drop of energy has gone into designing one mattress, a bed base and bedding you can 100% count on. With incredible attention to detail and a huge focus on addressing customers’ mattress and sleep concerns, you can rely on Koala to provide bedtime satisfaction, every single night. Sink into the Koala mattress, tailored to combine the cloud-like feel of memory foam with plenty of breathability and bounce, and enjoy the zero disturbance technology that ensures you won’t be worried about waking your partner. Set this soft yet supportive mattress upon the durable Koala bed base and give your bedroom a simple yet stylish look. Add a set of smooth, eucalyptus fibre sheets to your haul, along with a couple of plump pillows, designed for all sleepers and sleeping positions, and you’ll have all bases covered for a blissful night. Don’t forget to check the Koala clearance collection and you could bag yourself a bargain as you beautify your bedroom. How do I use my Koala discount code? Select an offer, copy the code and follow the link to the Koala website where you can shop for your goods. When you’re ready to pay, enter the checkout process by clicking the shopping cart icon and hitting ‘Check Out’. Paste your code into the ‘Gift card or discount code’ box and select ‘Apply’ to redeem your discount. Sign up to the Koala newsletter to stay up-to-date with all the latest and greatest offers. From special discounts to seasonal offers, you could rake in the savings with Koala. Will the Koala team deliver to my room of choice? If you choose premium delivery at checkout - available for customers in Metro areas - you can expect a two-man team to move your Koala items into the room of your choice, including up any stairs. The team will unpack and assemble the product and remove the discarded packaging for you, making your life a whole lot easier. What sizes does the Koala mattress come in? The Koala mattress comes in a single, king single, double, queen and king size, so you’re bound to find the right dimensions for your space. Can I buy a Koala gift card? Absolutely! Give your loved ones the gift of comfort with a Koala gift card, available online. Order before 2pm on weekdays for 4-hour or same day delivery in Metro areas. You also have the option of scheduling your delivery for a specific date. If you don’t live in a Metro area, you can still enjoy free delivery and your order should arrive within 1-5 business days. Koala offers a 120-night trial period on all products. If you are not sold within this timeframe, you can request a full refund. The return shipping is covered in Sydney, Melbourne, Brisbane, Adelaide and Perth. The Koala customer service line is open Mon-Fri 9am-6pm and Sat 10am-3pm AEST. The live chat lines are open Mon-Fri 9am-10pm and Sat-Sun 10am-5pm AEST. Welcome to the best sleep of your life! By employing a smart combination of technology and customer feedback, Koala has designed what it believes to be the perfect mattress - a balanced blend of comfort and support. Don’t forget to use a Koala mattress discount from us when you shop and you could drift away into dreamland in style for a very affordable price. Offering a specially-designed bed base, pillows and sheets to complement your purchase, Koala offers everything you need to create the optimum sleeping space. Koala understands that buying a mattress is a long-term commitment, that’s why it offers its customers the chance to try any product for 120 nights. It could take a while to get comfortably acquainted with your new mattress, so bounce, sleep and dream on it before you make your verdict. If it’s not right for you, arrange a return with the Koala team and you can expect a no-quibbles refund. What have you got to lose? Searching for the right pillows, sheets and other bedroom essentials to ensure you get the sleep of your dreams can be a time-consuming chore. That’s why Koala offers a convenient range of bundles, so you can lock down everything you need, in the size that you need it, in one simple transaction. Be sure to use our Koala mattress coupon on your shop and you could complement your mattress with a beautiful timber bed frame or slate grey sheets for an exclusive discounted price.